Often star-struck, we are easily swayed by endorsements of actors, socialites, of the country’s who’s who, the popular, media, and all the glitz. They endorse one candidate and the gullible flock to the marketable choice. They ask me, who is Nick Perlas, why is he not advertising? Nick Perlas does not need advertising. He will not hand out gold for the supposed endorsement of our country’s top crowd drawers. Why? His work has been a testament to his greatness. And especially because, LOOK WHO’S TALKING! Sometimes, we cannot see the forest for the trees. Sometimes, it takes someone from the outside to tell us that what we are looking for has been right there, staring right back at us. So I thought I’d highlight what others have to say about Nick Perlas. From all four corners of the planet, Europe, Africa, Australia, North and South America, United Kingdom, Asia, and Oceana, notable writers, well-respected educators, eminent economists, influential politicians, renowned artists, esteemed doctors, the world’s best and BRIGHTEST are asking us, the Filipino electorate, to please, SEE THE LIGHT. Below are the real light-givers, movers and shakers of the world, celebrated for their work for humanity. Big and small names, people who are their own stars, changing the world, in increment but profound ways we are only beginning to understand. These very people are the real stars, and they are supporting the candidacy of Nicanor “Nick” Perlas. David Suzuki, Canada, Professor emeritus Sustainable Development Research Institute University of British Columbia, Co-Founder of the David Suzuki Foundation, an award-winning scientist, environmentalist and broadcaster. He is the recipient of UNESCO’s Kalinga Prize for Science, the United Nations Environment Program Medal, UNEPs Global 500 and the Right Livelihood Award. “Nicanor Perlas is a serious candidate for political office, not a nuisance. Humanity has undergone an enormous change in numbers, technological prowess, consumer demand and a global economy. We have become so powerful that we are undermining the very life support systems of the planet. But we cling to our political and economic priorities, that we are blinded to the reality that it is nature that sets limits that we have to respect or else our survival is put at risk. The Philippines illustrates the problems afflicting all of humanity: unsustainable population growth, pollution, deforestation, ocean depletion and pollution, and so on. The challenge we face is to shift our perspective from one in which we and our political and economic institutions set the priorities to one in which we recognize that our health, well being and survival are utterly dependent on the state of nature and the natural world must be respected as setting the limits and parameters for human activity. As we saw at Copenhagen, the meetings failed because we cling to our political borders and raise economic issues and fail to acknowledge the supremacy of nature’s limits. I believe it is people like Nicanor Perlas, who is internationally recognized for his work, who are providing the perspective we need to find truly sustainable solutions. You are fortunate in the Philippines to have a candidate like Perlas to raise these issues. I wish we had such prominent people in my country and I urge you to approve of his candidacy so that serious issues can be faced in public discourse. …I have known Nicanor for over 30 years, having published his writings in publications such as the East West Journal and Utne Reader magazine. Mr. Perlas is thoughtful and serious, with a truly global perspective. He has an extraordinary ability to synthesize diverse sources of information, build bridges between disparate constituencies, and inspire genuine hope. I was with Mr. Perlas in Stuttgart, Germany the day he received word that he had been declared the winner of the Right Livelihood Award. As a member of the Nobel Peace Prize Forum’s Executive Committee, I can say there is no one more deserving of this “alternative Nobel Peace Prize” than Nicanor Perlas. When I learned about Mr. Perlas’ candidacy for the presidency of the Philippines several months ago, I was heartened to think that the Philippines could be such an enlightened country that it would encourage one of its best and brightest countrymen to run for its highest office. Perhaps his election is unlikely, but so was Barack Obama’s at the start of his presidential campaign. Please do the people of the Philippines justice and allow Nicanor Perlas, one of the world’s greatest living statesmen, to stand as a candidate for president of the Philippines. …Nicanor Perlas is internationally known and respected as a social, economic, and environmental thinker and leader. Many people worldwide enthusiastically welcomed his candidacy. To have it denied by COMELEC indicates either that COMELEC did not do its homework and so is unaware of the accomplishments and global standing of Nicanor Perlas, or that his forward-looking ideas and achievements are regarded as a threat by the Philippine powers-that-be, that, in short, they regard him as too much of a viable, electable candidate. Jostein Saether, Germany, Norwegian author, well-known Painter and Educator, Co-founder of the Skilleby Atelier artists community in Järna, Sweden and Counselor in Spiritual Development. Otto Scharmer, Massachusetts, Professor at MIT, founder of the Presencing Institute, best-selling author “Theory U”. He works to facilitate profound innovation and change processes both within companies and across societal systems. Orland Bishop, Canada, founder of ShadeTree Multicultural Foundation, an intentional community of mentors, elders, teachers, artists, healers and advocates for the healthy development of children and youth. In a time when leadership must serve the greater good of our planet and its peoples, it must be our highest aim to support those whose vision can develop the collective human and planetary potential. 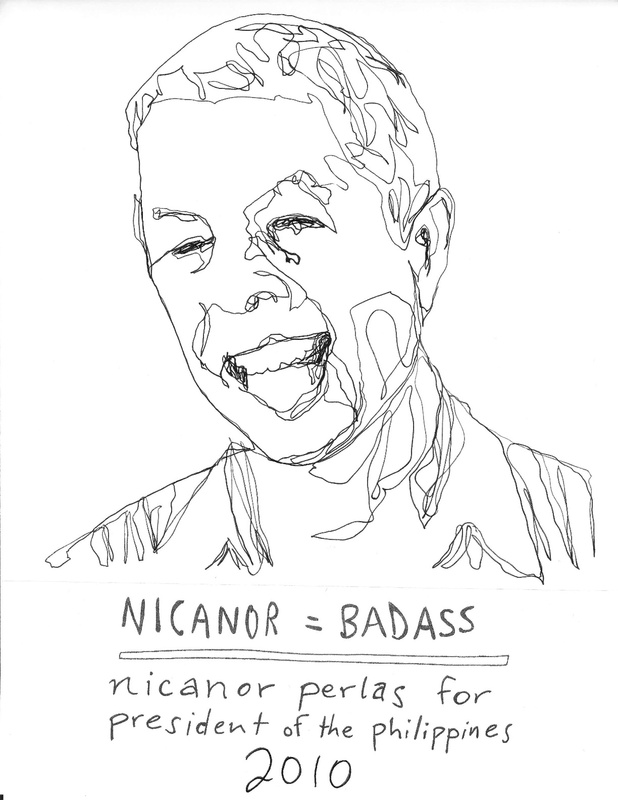 Nicanor Perlas is such a leader and visionary. He holds the personal and social integrity to lead and transform his nation in these radical times of change. Chico Whitaker Ferreira, Brazil, social-justice advocate, co-founder of the World Social Forum, 2006 Right Livelihood Award winner and World Future Council member. Gertrude Hughes, Connecticut, renowned author of “Emerson’s Demanding Optimism” (1984) and has published essays on American poets, Professor Emerita of English and Women’s Studies at Wesleyan University, Chair of her Department and of the Women’s Studies Program. I have known Nicanor Perlas for at least 30 years. During that time he has developed the political and cultural initiatives that have benefited the Philippines in the past decade. Far from a hindering presence in the upcoming Philippine election, Perlas’ leadership thinking and actions have the potential to replace corruption with forward looking planning for environment, government, and education in the Philippines–the kind of leadership for which he won the alternative Nobel Prize award. It would be a disgrace to deny Nicanor Perlas his right to run for office, and it would be a great loss to the Philippines’ future. Hazel Henderson, Florida, world-renowned futurist and evolutionary economist, Author of “Ethical Markets: Growing the Green Economy” and co-editor or “The UN: Policy and Financing Alternatives”, 1996 Global Citizen Award, Fellow to Britain’s Royal Society of Arts. Nicanor Perlas is one of the most promising persons in the world to build a different future… I ask Comelec to withdraw its decision and enable Nicanor Perlas to go on with his nomination. Everything else would be extremely unfair and undemocratic and a great loss for building internationally a sustainable and just future. Nicanor Perlas – as Barack Obama – show that the future leaders will not come from wealthy classes but from civil society. Let Nicanor run! Alejandra Liora Adler, New York, Co-Founder and President of Gaia University (www.gaiauniversity.org), International Advisory Council Member and NGO Representative to the United Nations, Board of Directors and NGO Representative to the United Nations through the Global Ecovillage Network, Representative to the Council of the Americas within the Ecovillage Network of the Americas, respected for her work in Conflict Resolution, Building Authentic Community, Global Solutions to Planetary Change, Holistic Health and Nutrition and others in more than 15 countries. Margrit Kennedy, Germany, German architect, professor, environmentalist, author and an advocate of complementary currencies and an interest and inflation-free economy. She worked as an urban planner in Germany, Nigeria, Scotland and the United States. Professor of Ecological Building Technologies at the Department of Architecture, University of Hanover. Famous for her book “Interest and Inflation-Free Money, Creating an Exchange Medium that works for Everybody and Protects the Earth,” published in 1987 and has been revised several times and translated into 22 languages. Mary-Wynne Ashford, Canada, President of Canadian Physicians for Prevention of Nuclear War, recipient of many awards including the prestigious Gandhi Award and the Governor General of Canada’s Medal two times. 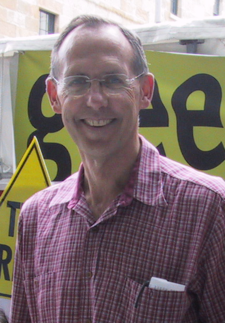 Senator Bob Brown, Australia, Australian Senator, inaugural Parliamentary Leader of the Australian Greens Greens, well-recognized politician known for his vocal protest campaigns and campaign to increase protected wilderness areas. A number of my Green Party colleagues and supporters have spoken very highly of the work of Mr. Perlas. Candidates with a strong green agenda are running in nations throughout the world. These candidates offer an important democratic choice for the growing percentage of people who place environmental protection as central to their voting intentions. The Pew Centre’s Global Attitudes Project (2002) found that 20% of Filipinos surveyed rated environmental degradation and pollution as the greatest threat to the world. It is important for people with these concerns to have a democratic choice at election time. Mr. Perlas will provide people in the Philippines concerned about climate change and other environmental concerns with a voting choice at election time. This list is endless and I should stop overwhelming you with too much brilliance. See http://www.thepetitionsite.com/1/let-nick-run But the world is watching. I truly hope we Filipinos see the light.